Well, PAD got me again as I've been eye-balling various Bing shaped interpretations. 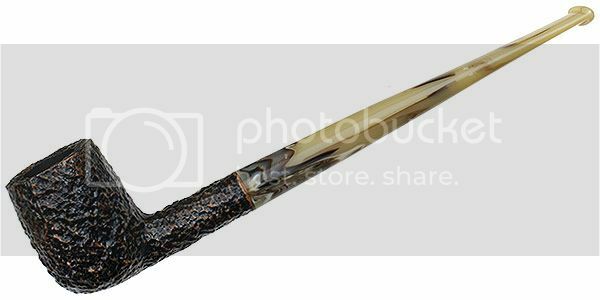 During my research, I found this Savinelli "Ginger's Favorite" which is very Bing like, and I'm presuming named for Ginger Rogers. Assuming the typical Sav quality is there, this looks like a fun smoke. Dave I've been eyeing those Bing and Ginger shapes for a while now. Very nice pipe. I hope she's a fantastic smoker. 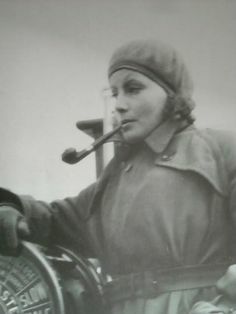 It's a feminine looking pipe, so Ginger Rogers seems right. You don't have to smoke one to have a model named after yourself. Not that I mind either way, but it makes me realize that I inadvertently rekindled a simliar question of Baker v Rogers. Oooo, research. Love it, even if it is contrary in its early stages. lifesizehobbit: you the man. Thanks for the links. Just for fun, also look at Sav's Prince of Wales, in a prince shape of course. Long-stemmed and kind of jaunty. I love their Bing and Ginger series but the finish styles and stains are horrible !! WHY cant they make a better grained a bit higher priced in the same series? You could always commission, Chris! Well the Pipes & Tobacco site makes this claim: Ginger's favorite pays homage to Ginger Rogers, who enjoyed a pipe between scenes. Try as I might, I can't substantiate it with any factoid I can locate on the Web. I suppose I might have to read a bio on Fred Astaire or Ginger to see if that was buried somewhere as a tidbit. Regardless, it's been a fun path to follow. I'm still contemplating a commission on Red Dog Pipe's Service Merchant Bing...PAD...there is no cure. 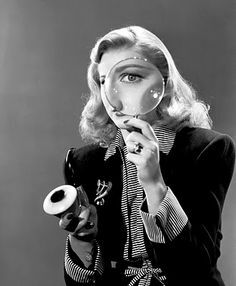 Snowy - you're welcome for the links; I think it's been rather fun digging around, learning a bit about Ginger Rogers and the muse for my inbound pipe. A tin of tobacco to the first who posts a (non-photoshopped) pic of Ms. Rogers' smoking on a pipe! Hobbit- Good to dig into this a bit; thanks.. While not abundantly clear from what I wrote, P+C initially attributed it to Baker, but later corrected itself. Woodsroad - When I was trying to get some form of proof to the claim, I saw that image. It just seemed a bit "promo" for a publicity shot, so I dismissed it as proof (for myself). But kudos to you sir for getting a tin! Nice try, Dan, but she is not clearly smoking it. Holding a prop as it were. Besides, you're the last guy who needs an extra tin. And it was going to be Smyrna! Ok...I'll take a stab with this one; very grainy, appears to be a lift from a film. Shares some features as Ginger, but admittedly, I'm not as good on my face recognition. Dan- Still, an excellent try!! I defer to you sir; I was skeptical when I posted. I mean, just what would I do with another tin? I only have one tin of Smyrna, but I still have several ounces of bulk left over from the old days when we gave away free samples. Smooth finish and sandblast are certainly elegant. But I will have to give it to rusticated, a good one can wear like iron and keep looking great. Actually, get looking better. jpmcwjr - I do believe you have stumped the masses. I've looked for several days and cannot even find a written reference to Ginger Rogers smoking a pipe beyond the vendor site that was posted above. I think your tin is safe. A tin of War Horse Red to the person who can come up with a picture of John smoking a Kriswill Chief (any finish will be OK) while bench pressing a one-armed ballerina with a speech impediment. On a Tuesday. With a spiny hedgehog named "Norman". The pic woodsroad posted looks more like a trans gendered Sherlock Holmes! That appears to approve the use of: Windows Paint, Mac Photos, Nikon NX2, Lightroom, MacFun and a few other editors. Get that WarHorse ready Woodsy! How on Earth does that pipe look remotely feminine? Everyone knows that full bent pipes are for girls, straights are for men. Finally got over my sinus thing and was able to fire up a bowl of Frog Morton On The Town in Ginger here. True to Savinelli's reputation, she smokes great right out of the box. Next to my Stanwell Hans Christian Anderson churchwarden, this is the longest pipe I own. It's very light and sits comfortably in my hand while seated. It's light enough to be clenched, but I've never been much of a clencher, so I only tested it. Nice addition to the stable without breaking the piggy bank. I really like the colours in the stem of that pipe. A good looker for sure. I bought a smooth Gingers Favorite with a curved stem for my wife a couple years ago. She only smokes it once in a while but really likes the pipe.